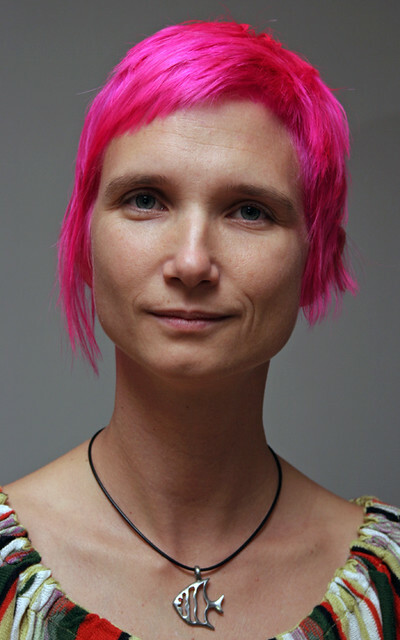 Who is Zuzi Sochova (@agileprague) ? Some time later she invited me to WebExpo, where she organized the agile part of a great conference. I was really pleased when she said yes to Who Is and I could learn some more about this smart women with great organizing skills. And again I learned more then I could wish for. Enjoy her answers. I’ve always wanted to have the hair of bright color, but all the time I was afraid to go for such colors so I was experimenting with just light tones. And then, one day I went to a hairdresser and left with real bright red hair color. I was kind of scared at first, but after a while, I realized it was really me and from that time I’m changing the hair colors almost every month. I guess I would like to be a photographer. Or a dive master. But seriously, I had chosen IT and I still like it. It’s fun. Working with developers and testers on daily basis is a creative work. I like software, it’s easy and fast to try out your ideas and prove them by prototyping, a thing that is not possible in any other industry. My biggest challenge is to run my own business. In order to start it, I had to learn how to find people to cooperate with, which skills I need myself and which is better to find elsewhere. I would say the biggest lesson learned so far was to accept that I have to let some businesses pass away if they don’t fit, in order to get the right ones later on. Speaking more general, the biggest challenge is to keep doing things in my way, even though the rest of the people say I should not. Do what I want and believe in, not what I’m expected to do. The biggest satisfaction and motivation to go on for me is seeing the success of my work. If I help individuals, teams or companies to be better, more efficient and flexible or just have less stress and more fun, it’s the best bonus I can ever get. The last book I have read is called End of Punk in Helsinki (Konec punku v Helsinkach). It’s a Czech book, I’m afraid there is no translation planned yet. If you like stories like this, please buy our Who is agile book. It contains answers from different people and in the near future will contain an answer from Zuzi on another question.